After Idli, the next common dish oft seen at a South Indian breakfast table is Pongal - a savory pudding made with beautiful combination of lentils and rice tempered with spices and nuts sauteed in Ghee. The taste is mind blowing to say the least and filling. It is also one of the simplest dishes to make which does not need constant attention and gets done in matter of minutes - say approx 15min! with nada preparation. This is also called as Ven Pongal (meaning white pongal)/ Khara Pongal (meaning spicy/hot Pongal). This also has a major role to play in the celebration of Indian festival also called as "Pongal" I make this not just for breakfast but also when I am short on time or when I am not so much in the mood to make anything fancy! Better this than eating out, or use any instant mixes laden with preservatives and god knows what else. 1. Wash and clean rice and lentil well until the water runs clear. 4. 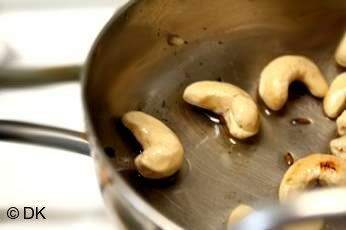 In the same pan, add the cashews and roast them till reddish color. 5. 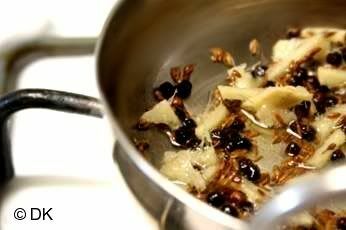 Now along with salt, add the tempered spice/nut mixture and mix well. Serve hot. This was an awesome experience. Finally felt the taste of my Mom's pongal. The ghee didnt float over the food. The rice and moong dal sucked all the ghee which I added for seasoning and also I added on top of it. Probably, I would have added less ghee. 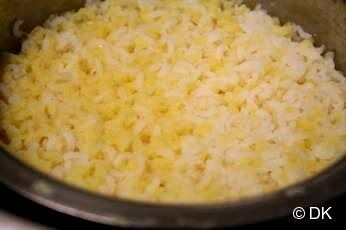 How much should we add for 1 cup rice and 1/2 cup dal? But, it shouldnt override the taste of other ingredients..
:) I am a kannadiga settled in Bengaluru. 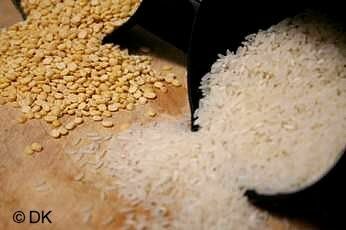 We often prepare Pongal, but we use equal quantity of dhall and rice. we shall try the recipe given. 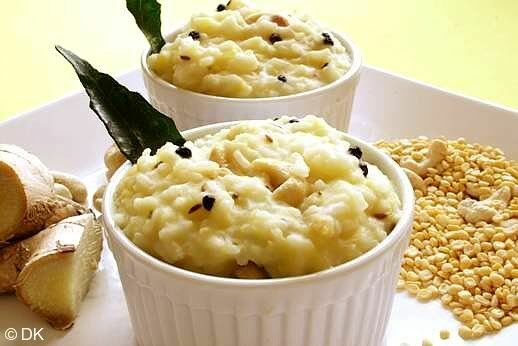 On taste, the Ven Pongal served in some salem hotels are heavenly dish. Some one to help me with that recipe please. Pongal + sambar + coconut chutney is my fav!!! Ingredients as u said cant be changed.... but adding the tempered cumin+pepper+curry leaves+ cashews nd grated ginger n salt to the rice+dall+water mixture nd thn pressure cooking them helps blend the tastes well... age old trick! And uding raw rice/pacharisi is d best. yummi taste,super hot and spicy good for breakfast lovelable dish. Where can I find the recipe for the gojju that often accompanies VenPongal? Thanks. Pongal looks very yummy :) Wonderful snaps too!! Wow, I've actually never heard of Pongal before! I can't wait to give your recipe a try! I've never had pongal, but you have really intrigued me. I wish I had access to all of those ingredients so I could try it myself. It sounds great. this really is comfort food!looks simply delicious!! That's my favorite too DK and I also prepare it similarly. Occassionally I follow another method too. I add the rice, paruppu, cumin seeds, pepper powder (my husband doesn't like to bite of pepper), grated ginger, hing in the pressure cooker and cook it. 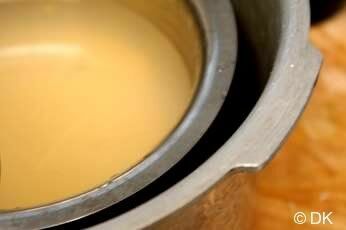 Then simply heat some ghee and pour that and add salt and mix it well. Believe me or not this also tastes good. 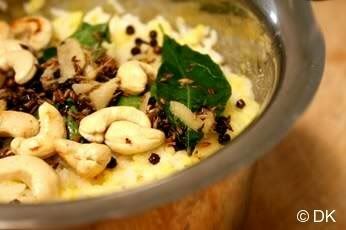 I love pongal - both the dish and the festival! Your pictures look beautiful. I cook the rice in water+milk for extra creamy pongal. happy new year dk, the pongal looks yummy. i love it with a little ghee...so comforting. nice pictorial, will eat pongal anytime..i am craving some right now.